The award-winning creators of Skyrim and Fallout 4 are back with Fallout 76, an online prequel to the epic series of post-apocalyptic RPGs that was introduced by Interplay Entertainment back in 1997. Fallout 76 is now available via the Microsoft Store as an Xbox One X Enhanced title and also comes as a Tricentennial Edition with various in-game bonuses. 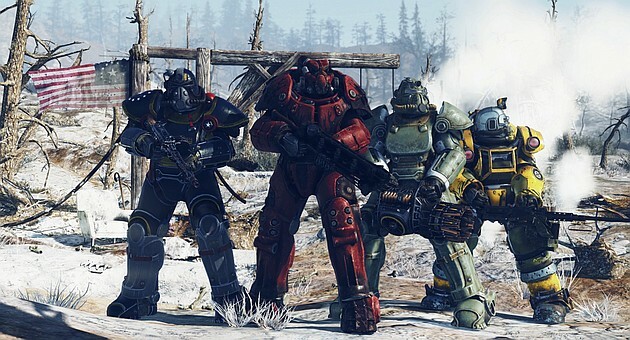 Xbox One players who were waiting for Fallout 76 to reach their consoles can finally celebrate because this post-apocalyptic role-playing game is now available for them via the Microsoft Store. Even more, the Fallout 76 is an Xbox One X Enhanced title and those who want some extras can go with the Tricentennial Edition. If you missed all the Fallout 76-related articles so far, you should just keep in mind the following: a refined S.P.E.C.I.A.L. system, all-new graphics, lighting, and landscape tech, six distinct West Virginia regions, all-new Construction and Assembly Mobile Platform (C.A.M.P. ), nuclear missiles, all gathered inside an online prequel to the Fallout series. Enough to make you interested? Let us know in the comments section.